International Associates is approved by the National Health Service Supply Chain (NHS SC) to conduct LSAS audits. * Suppliers must be audited to Level 1 as a minimum before NHS Trusts can purchase supplies through NHS SC. International Associates is accredited by the Social Accountability Services (SAAS) for SA8000, which enables us to audit NHS Suppliers against the four levels of maturity. Each level has clear goals for the supplier to progress to Level 4. LSAS enables suppliers to demonstrate labour standards are monitored throughout their supply chain and risk reduction with a policy of continual improvement. 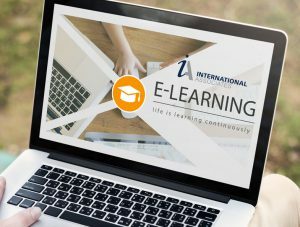 International Associates has developed a set of online eLearning training modules that cover aspects form LSAS Awareness to levels 1 to 4. to give additional assistance to companies implementing their Labour Standards system. Systems and standards such as the LSAS were created as requirements for suppliers. In order to bid on, or keep certain contracts — companies must become compliant. This results in a direct financial impact to the bottom line. If you are also required to implement the Modern Slavery Act you have the opertunity to use LSAS compliance as the basis for your ethical procurement processes. Leading brands are continually progressing in the area of sustainability and social accountability within marketing and communications channels such as, imaginative mission marketing, social media campaigns and fruitful stakeholder engagement. The LSAS can be used to inform these methods of marketing and communications. This approach improves customer perceptions and stimulates stakeholder interest. Driven by legislation or public pressure, many organizations now report on social, environmental (or ecological) factors alongside financial performance in their annual reports. The results of LSAS can be used as evidence in the Corporate Social Responsibility (CSR) sections of an annual report, and to inform further developments in the CSR policy and strategy. There is a growing desire by most employees to ensure their company activities are socially responsible, and activly select employers who engage in the process. Using LSAS and communicating results can improve employee satisfaction levels, thereby reducing staff turnover and creating a loyal, engaged and productive workforce. Growing public concerns about the negative impacts of global business has led to increasing pressure on organizations to show good ethical business practices. The LSAS system helps answer the tough questions about supply chains and reduces reputational risk. For more information about LSAS please contact us by using our contact form, by phone or drop us an email. We will be pleased to assist you.